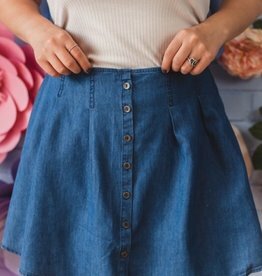 How adorable is this mini skirt! 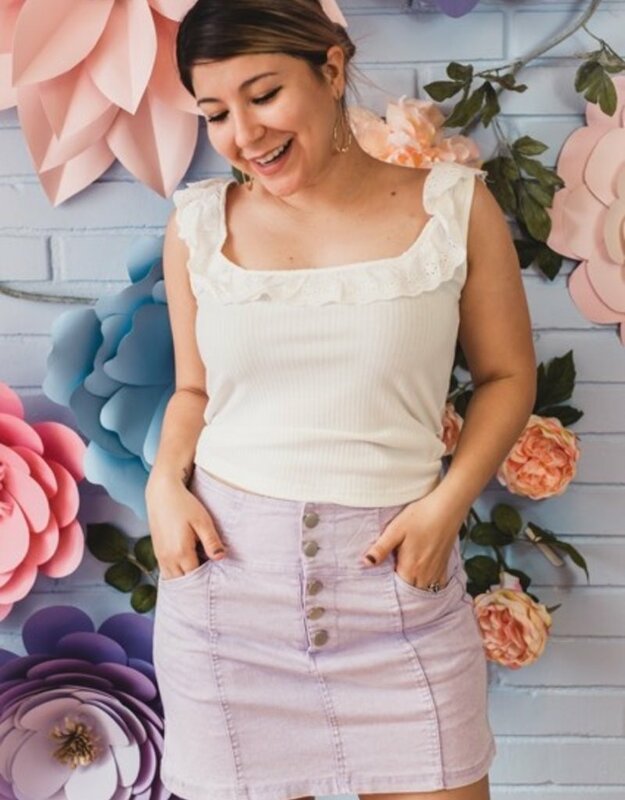 Our Kianna skirt features buttons going down. This skirt will look amazing paired with just about anything! 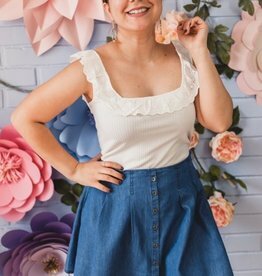 Off shoulder, ruffle sleeve, floral embroidery, ribbed knit crop top.